Perhaps not funny. Maybe just odd. HEB is the main grocery chain here in Texas. They're a great place to shop, and they have coupons all over the store. For someone like me, who regularly forgets any coupons or actual grocery lists, that is a godsend. 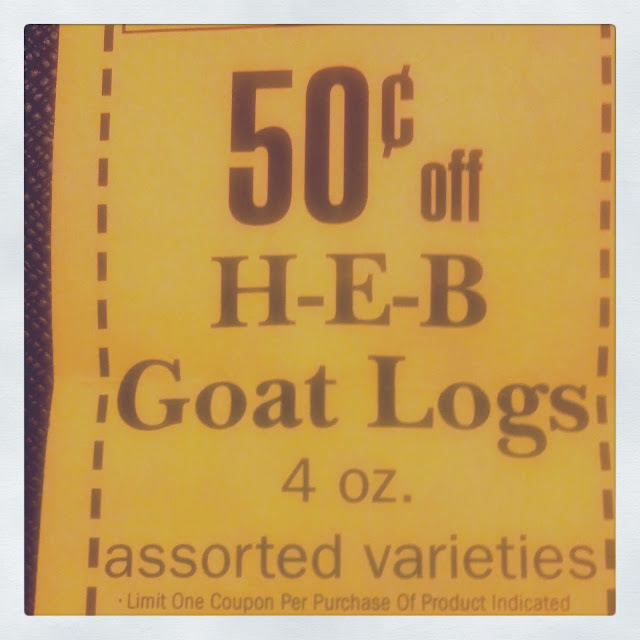 Except that I am not exactly sure what a 'goat log' is. Guesses? maaaaaaaaa, maaaaaaaaa....the goat only comes in chunks at our grocery store! Let's hope for goat cheese log? That is what I hope!